Join hundreds of people celebrating the winter solstice and get the chance to win tens of thousands of Rands of products in Muizenberg this Saturday at the WaveJet South Africa launch party with legendary former World No. 3 ranked American surfer Cory Lopez. The longest night of the year will see the Bluebird Garage in Albertyn Road decked out and ready to rock with well travelled band Crimson and DJ Dean Fuel providing the beats and Lopez talking of his storied exploits in Hawaii, Tahiti and other famous surf spots, signing autographs and mingling with party-goers. Prizes include a full 7 ft Evo WaveJet system built by Frankie Oberholzer in Durban with a WaveJet Power Pod, a Blank Pod for non-powered use, a Seatooth®-enabled Wrist Controller and a Charging Station valued at R50 000 along with dozens of products totalling more than R25 000 from renowned international and local brands that will be given away in lucky draws and raffles. Doors open at 6pm with Lopez introduced by celebrity MC Deon Bing at 7pm. Crimson, a Cape Town based duo who have appeared all over the Western Cape, kick in at 8pm while the first of the lucky winners will be announced at 9pm. Dean Fuel, who needs no introduction as the city’s top DJ, will get the dance floor buzzing from 10pm with his original compilations and you can dance till you drop! Tickets for the party are selling out fast and can be purchased online at https://wavejet.nutickets.co.za/launch. General entrance is R100 while VIP treatment with separate entrance, free energy drinks and craft beer on tap and other perks is available at R150. All proceeds from the event will be donated to the Surfers’ Circle Walk of Fame project. If you’ve got any energy left, or even if you cannot make it to the party, get down to Surf Shack at Muizenberg Corner on Sunday where you can try out the WaveJet craft of your choice in the surf for free. All powered by the revolutionary, unique Personal Water Propulsion system, these craft will change the way you interact with water. Cory Lopez will attend the Sunday open day between 12 noon and 3pm for signings and to talk about his experiences using WaveJet boards in waves from one to 20 foot. The WaveJet South Africa Launch Party is proudly supported by Vonzipper, Sector 9, Xcel, O’Neill, Rock Star, Xpressions on the Beach, Corner Surf Shop, FCS, Island Tribe, shift*eight VoIP, First Impressions, Long Beach Brewery and the Muizenberg Improvement District (MID). WaveJet is a revolutionary, one-of-a-kind Personal Water Propulsion system that will change the way you interact with water. A clean, quiet, battery-powered dual jet drive, the WaveJet Power Pod is fully modular and universally sized to be interchangeably popped into any WaveJet-ready personal watercraft, including surfboards, stand-up paddle boards, boogie boards, fishing craft, rescue boards and more. WaveJet overcomes the traditional limitations of surfing and paddling. It puts you where the action is. Fast. WaveJet lets you break free. WaveJet South Africa, an authorised distributor of WaveJet products in South Africa, introduced the systems to this country in September 2013. 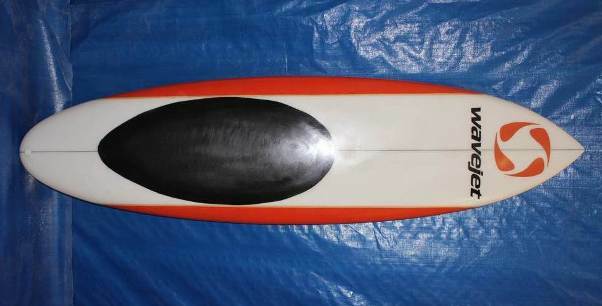 Rentals of the WaveJet systems are available on Muizenberg beach, at Surf Shack or online at http://wavejetrentals.co.za/ WaveJet SUP boards can be rented from Xpressions on the Beach. Purchases of WaveJet systems can be made at Corner Surf Shop, Xpressions on the Beach or online at www.wavejetsouthafrica.co.za. TAVARUA, Fiji (Friday, June 6, 2014): A thrilling finals day saw Brazilian Gabriel Medina reign supreme by winning the Fiji Pro, stop No. 5 of 11 on the 2014 Samsung Galaxy ASP World Championship Tour (WCT), and moving back to the top of the ASP WCT rankings. Competing in n three-to-five foot (1 – 1.5 metre) surf at Cloudbreak near Tavarua Island, Medina recorded his second WCT victory of the season by defeating 2013 Rookie of the Year, Nat Young (USA), in a hard-fought final. The Brazilian got out of the gates first while Young waited 10 minutes before posting a score. Medina answered back with a near-perfect 9.87 for a series of barrel sections and sizzling snaps to extend his lead. Young fought hard but Medina’s additional 8.53 left the American in need of two high scores for the win. 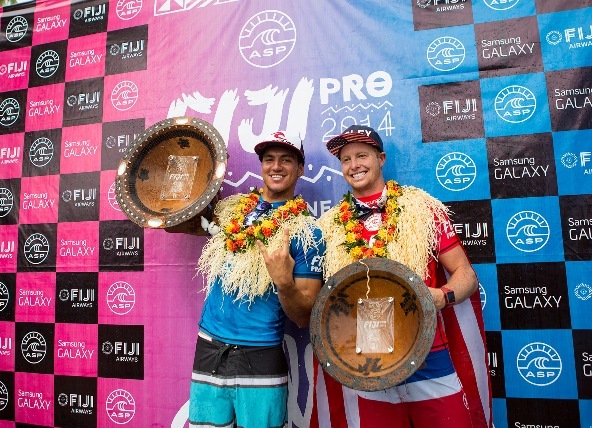 Young was unable to break the combination, cementing Medina’s fourth career ASP WCT victory. Young posted his best result of the 2014 season today after finishing his third WCT final as runner-up. He topped reigning three-time ASP World Champion Mick Fanning on route to the final but, despite being on excellent form throughout the competition, wasn’t able to find the scores he needed to surpass Medina for victory. Michel Bourez (PYF), the rankings leader going into Fiji, was defeated by Young in the first semi-final and secured a third-place finish moving him to No. 2 in the rankings. Kolohe Andino (USA) backed up his Billabong Rio Pro runner-up finish with an equal 3rd place in the Fiji Pro after facing eventual event winner Gabriel Medina (BRA) in the second semi-final. The next stop on the 2014 Samsung Galaxy ASP World Championship Tour is the J Bay Open at Jeffreys Bay, South Africa, from July 10 – 21, 2014.